The Cozyness is located in the Unirii area in Bucharest, near the metro station Tineretului. They provide bikes for rent, free Wifi, free Computer Internet Acces, washing service, a Big Screen TV to play Nintendo Wii with all the other Guests. 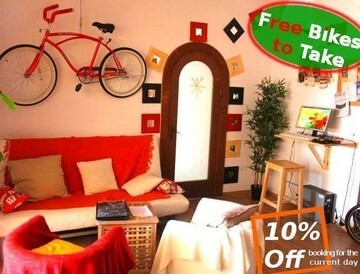 Bucharest Tips team has reviewd The Cozyness Downtown Hostel Bucharest - Hostels in Bucharest. You can get here description, reviews, address, map, phone, website of The Cozyness Downtown Hostel Bucharest in Bucharest. Visit Buchareset Tips for more Hostels in Bucharest!